1985 Joe Jackson Signed Order For Jackson Costumes Original $2,000 handwritten order for just 4 sets of costumes for delivery by 20th January 1986, shortly after Michael Jackson had left the Jacksons. Hand signed by Joseph Jackson. 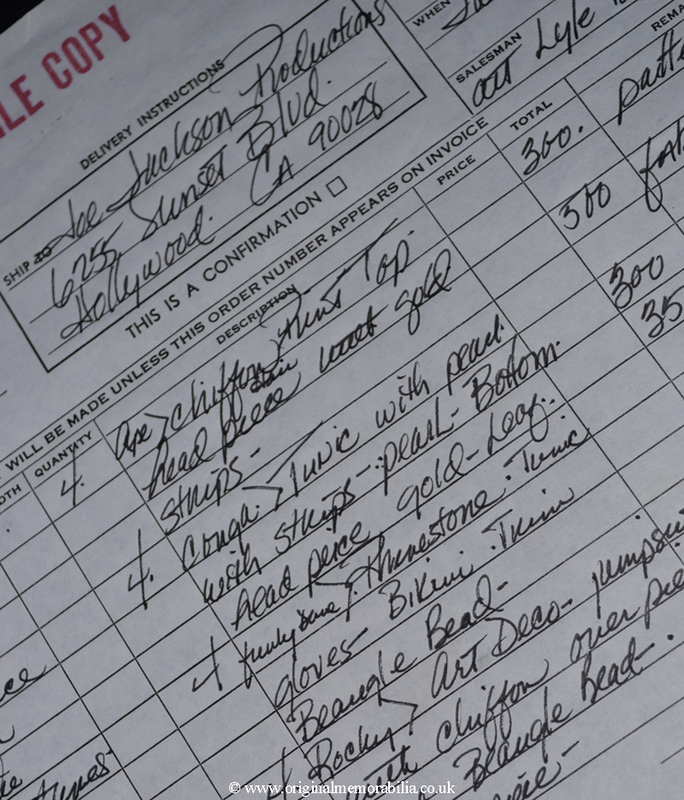 Original $2,000 handwritten order for just 4 sets of costumes for delivery by 20th January 1986, shortly after Michael Jackson had left the Jacksons. Hand signed by Joseph Jackson. 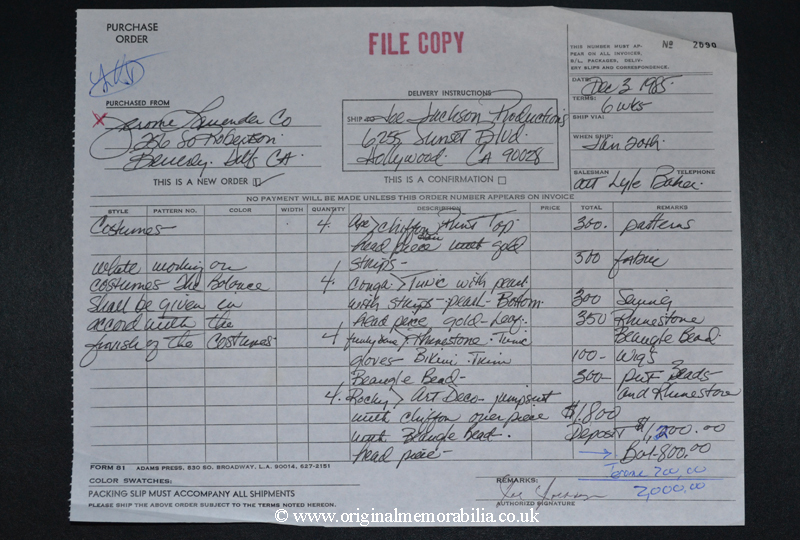 Joseph Jackson Production Inc. $2,000 handwritten order for just 4 sets of costumes for delivery by 20th January 1986, shortly after Michael Jackson had left the Jacksons. Hand signed by Joseph Jackson. A substantial amount of Joe Jackson Management artist memorabilia for artists under contract to Joe Jackson during the 1980s including original negatives, publicity and promotional photographs (multiples of most photos), contracts some with original signatures, invoices and receipts, appraisals and other documents, for Mendy Lee, Sandra Keyes, Monique Hudson and Jeanette Giuffrida including amongst a variety of interesting material including an Eddie Murphy video shoot for Sandra Keyes with specific instructions to wear a short skirt! More than 150 pages in total providing a fascinating insight into how this organisation functioned.